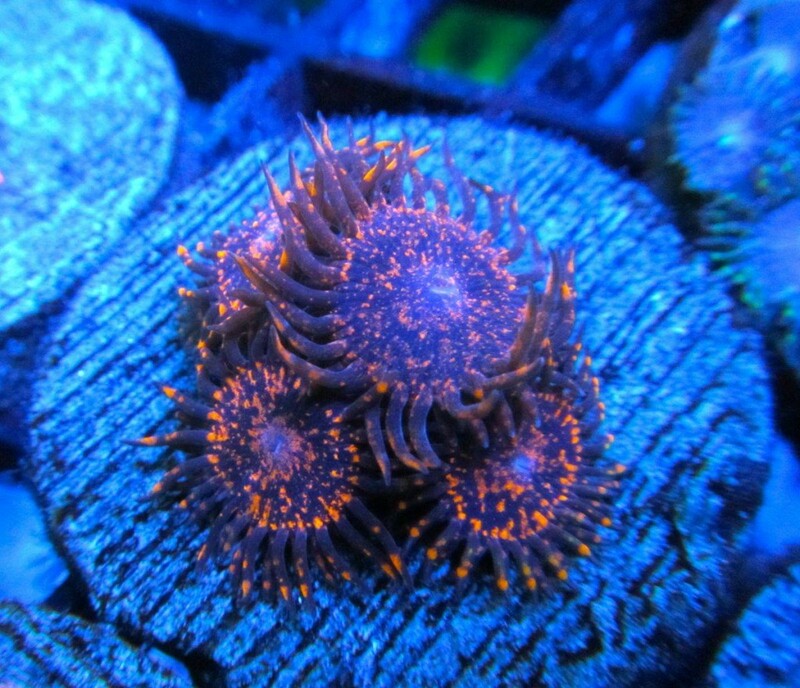 In this hobby we see coral and invert phases come and go. From clams to chalices and even maxi mini anemones, it seems like they all go through a lot of initial hype then slowly decline in popularity. 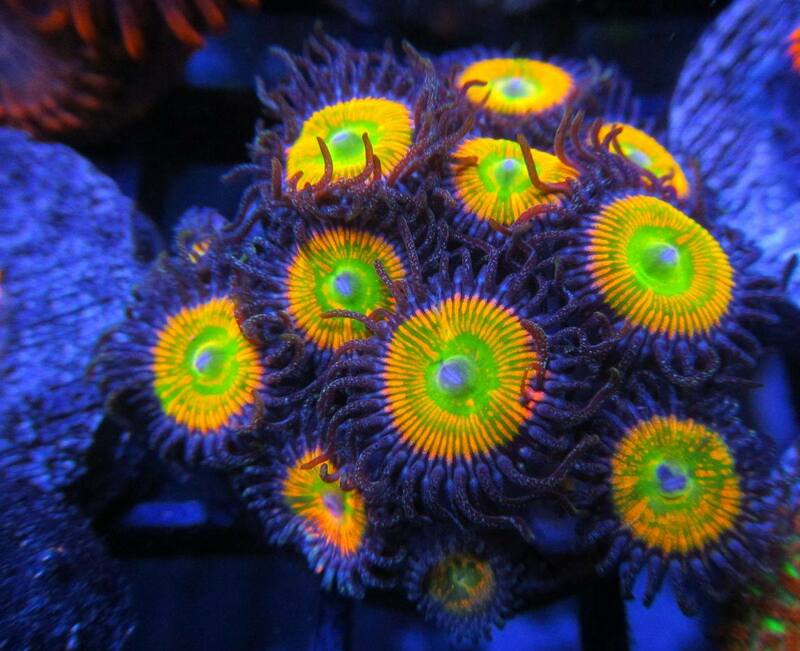 One of the mainstays in the hobby have been zoanthids and palythoas, which have been the craze for quite a while now. They have been in demand for what seems like an eternity and they do not appear to be getting less popular. Instead, it seems like they’re constantly on the rise. 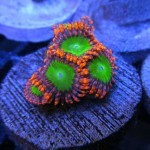 Zoas and palys are highly favored in the hobby by both beginner and expert reefers alike. They don’t require much in terms of care like other specimens and they grow under many types of lighting from T5s to LEDs. Polyps grow at the bottom of the sand bed or on your highest rock. They don’t necessarily need to be target fed like other corals and they also do not require us to dose things like calcium. They survive in low or high flow. They grow in a “mat” like pattern, carpeting your rocks with vibrantly stunning colors. 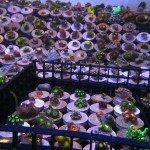 Some hobbyists generally keep zoa dominated aquariums or “Zoa gardens”. 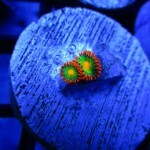 Their prices range anywhere from a couple of dollars per frag all the way up to $60+ dollars per polyp. 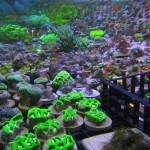 Price usually depends on rarity and color just like any other coral. 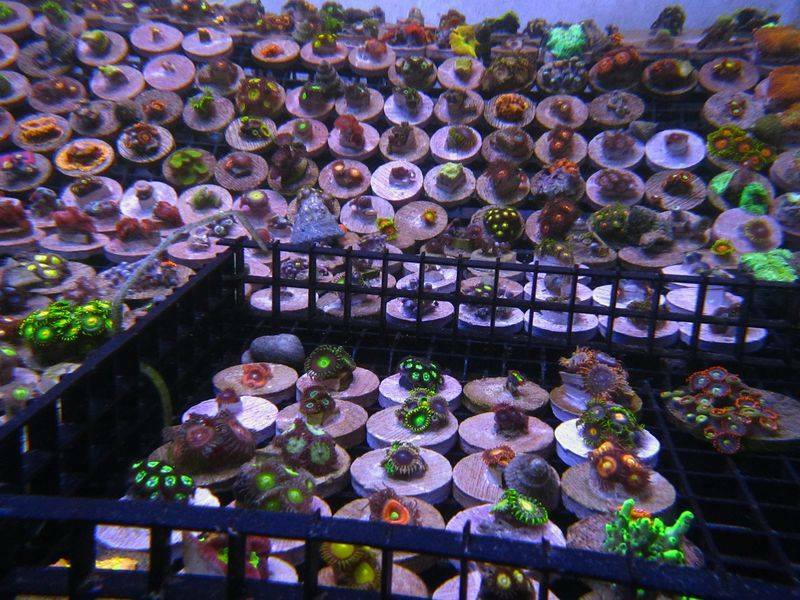 Due to their popularity, quick growth, and ease of care, many zoanthids and palythoas are aquacultured. 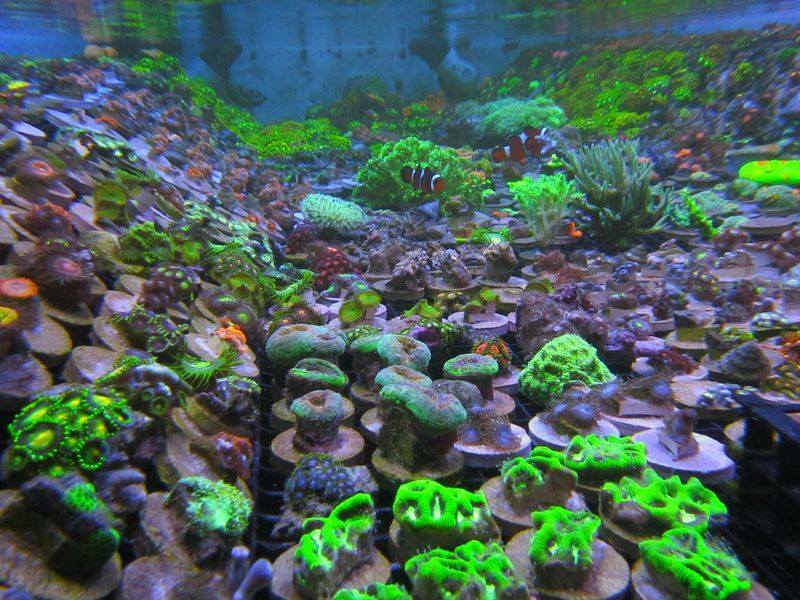 Meaning these corals have been grown in vendors aquariums and not collected from the wild. 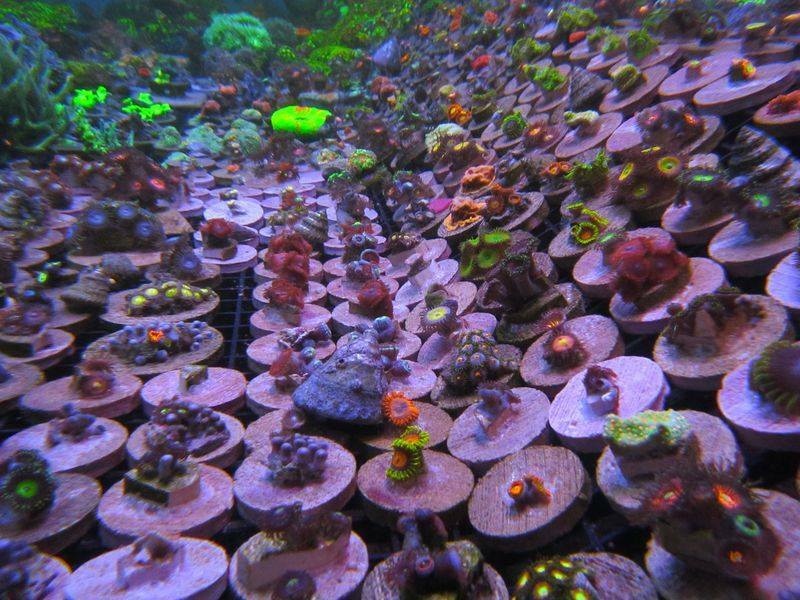 This means this coral has been adapted and already growing/thriving in environments like our own aquariums, giving these corals a greater chance of survival and giving you a chance to successfully see this coral grow into your aquarium. 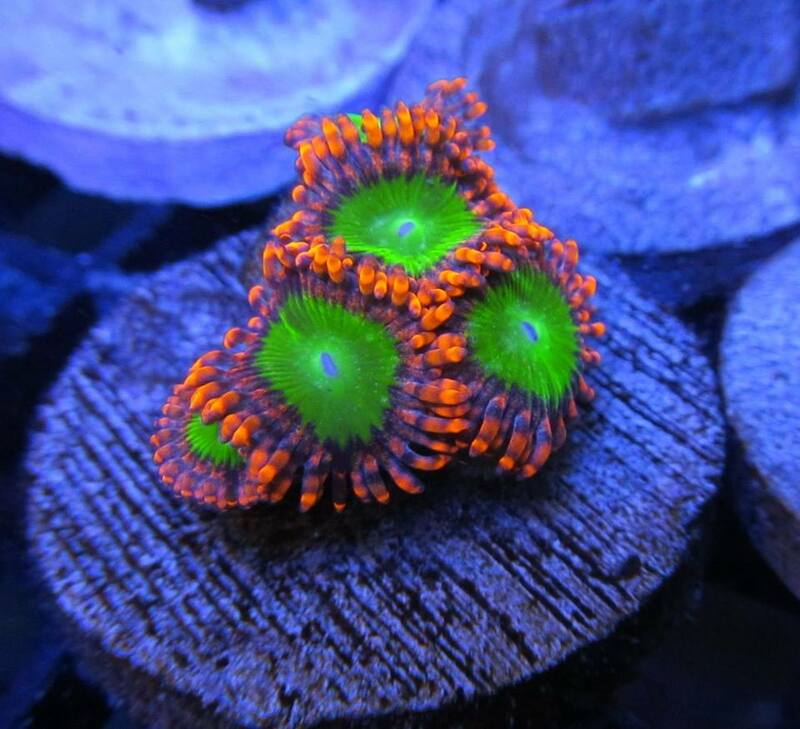 To get an insiders scoop on the market of zoas and palys, we sat down with our friend Chris at Reefkoi Corals to ask him a couple questions. 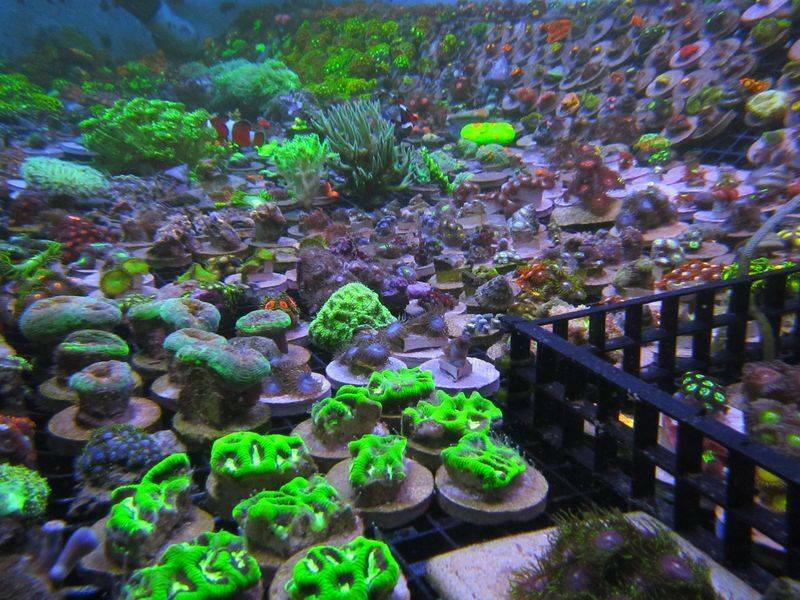 Chris has been aquaculturing corals since 2007. He has seen corals come and go as they pass through their phases. 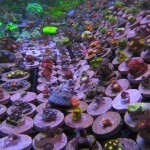 He also has one big selection of polyps, so who better to answer the following questions? 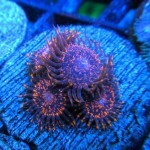 AquaNerd: In your opinion why are polyps in such a hype right now? AquaNerd: Is it important to dose certain elements to see better results out of the growth of polyps? 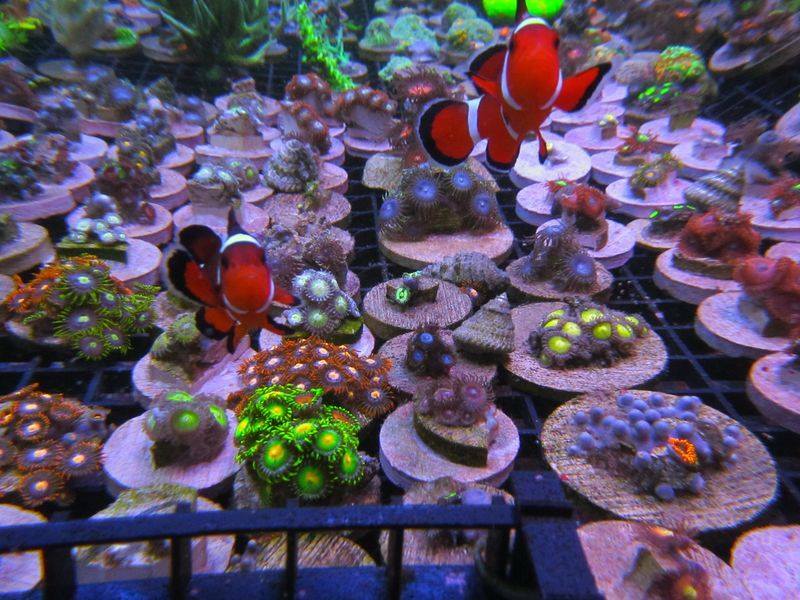 AquaNerd: What do you think about Vitamin C dosing for zoa/paly dominated tanks and the feedback people give that the polyps benefit from this? 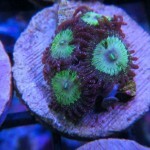 AquaNerd: Under what lighting have you seen the best growth out of polyps? AquaNerd: What about water flow? 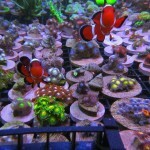 AquaNerd: Have you seen a lot of morphing out of any of the polyps you have grown out? 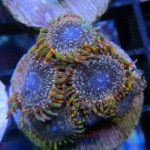 AquaNerd: Any special methods that you see the polyps growing best at? 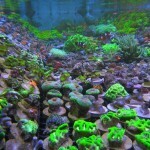 AquaNerd: What is the most expensive polyps that you have seen in the market? AquaNerd: Is there a polyp that is your favorite? AquaNerd: Is there a polyp that you see others mostly attracted to? Polyps by no means are very hard to keep. 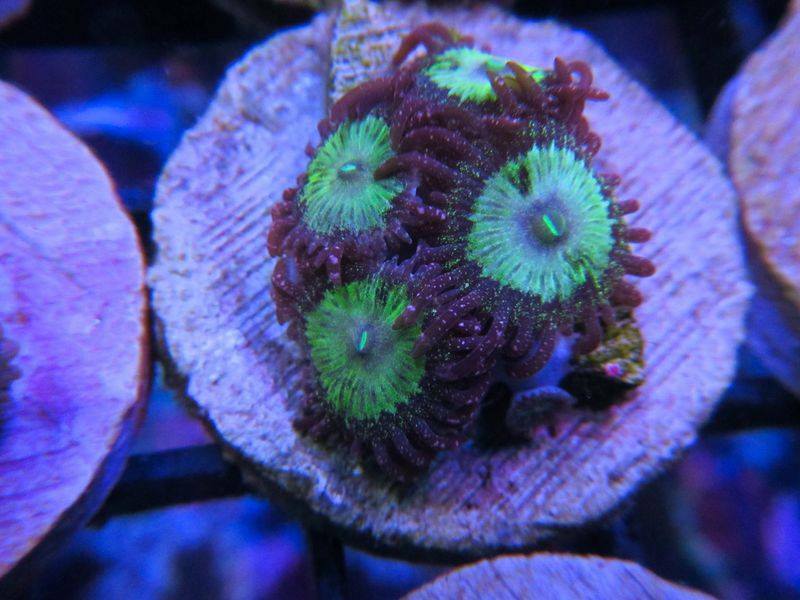 They are also one of the easiest corals to frag. Zoanthids where actually the coral I first fragged, but one thing is still true. 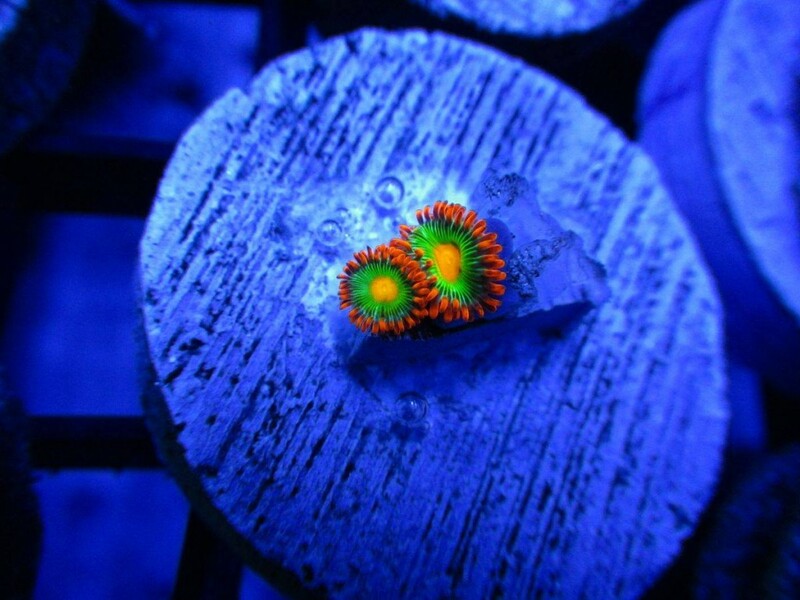 No matter the price or how difficult it is for us to get them, us reefers are suckers for bright colored and expensive little polyps. A special thank you to Chris for sharing with us some great information and opinions. 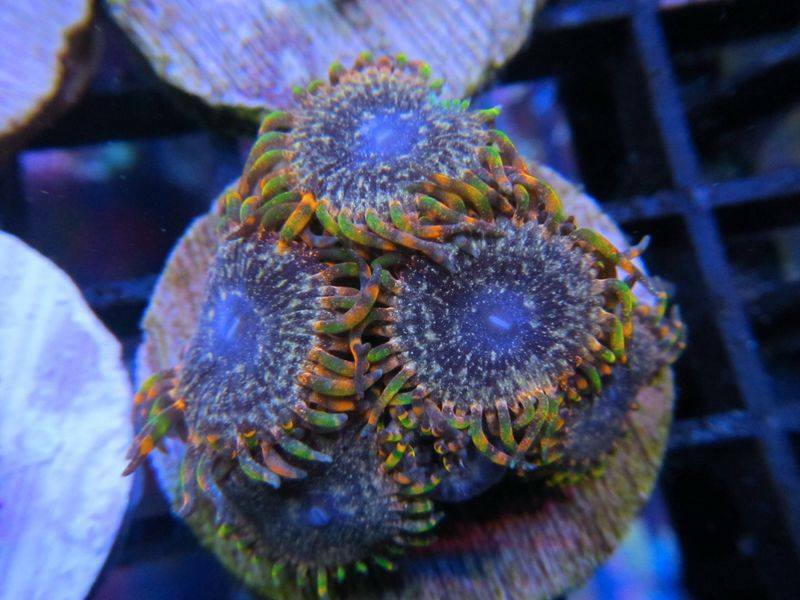 We leave you with some pictures of Chris’s 45 degree angled racks specially built to grow zoas and palys some of the hot polyps out there. Great post, thank you. 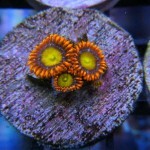 I would say that certain zoas or palys are difficult to keep though. 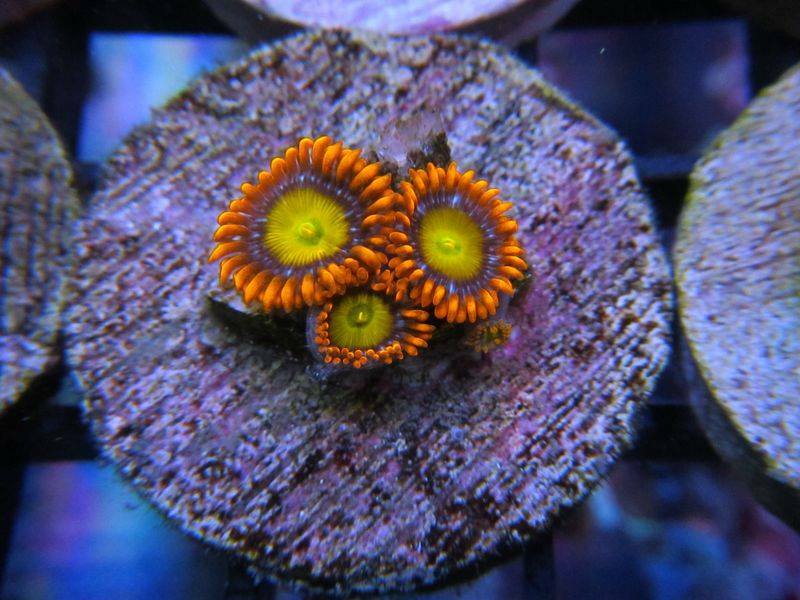 The “deep water” type zoas have always been hard for me. It seems like the smaller the polyp the harder it is to keep in a lot of ways.